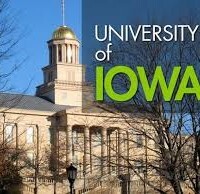 IOWA CITY, Iowa (AP) — The University of Iowa has frozen pay increases for teachers and other staff members until January. The Des Moines Register reports that it’s not certain whether the freeze will be lifted then. University administrators blame the freeze on uncertainty about revenue there will be from tuition, fees and state allocations. In April the university announced a moratorium on building projects and a review of whether to close some centers. University of Iowa Health Care employees will receive average salary hikes of 1 percent beginning July 1. Also, workers covered by bargaining agreements will receive their scheduled pay hikes. Coaches and sports staff are paid through the athletic department’s budget and won’t be affected by the freeze. The university has more than 18,000 employees.